Indoor hockey is a fast and skilful game – great fun and a great way to keep fit and develop stick skills. The indoor hockey season runs from mid-October to mid-December. Ideally there is a goalie and seven or eight field players in each team. Team entry depends on there being a goalie and sufficient committed field players at the appropriate level. One training session is scheduled for each team before the start of the season, but no training once club matches start – just the weekly games. Costs are dependent on age group. Please see the attached flyers for current year details. 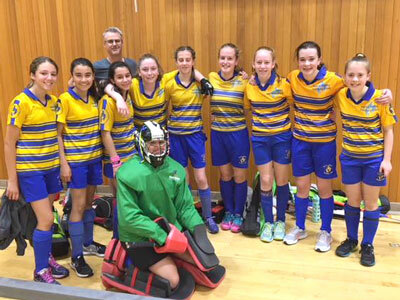 Please register your interest to play with the Indoor Hockey Coordinator Tony Brightling.